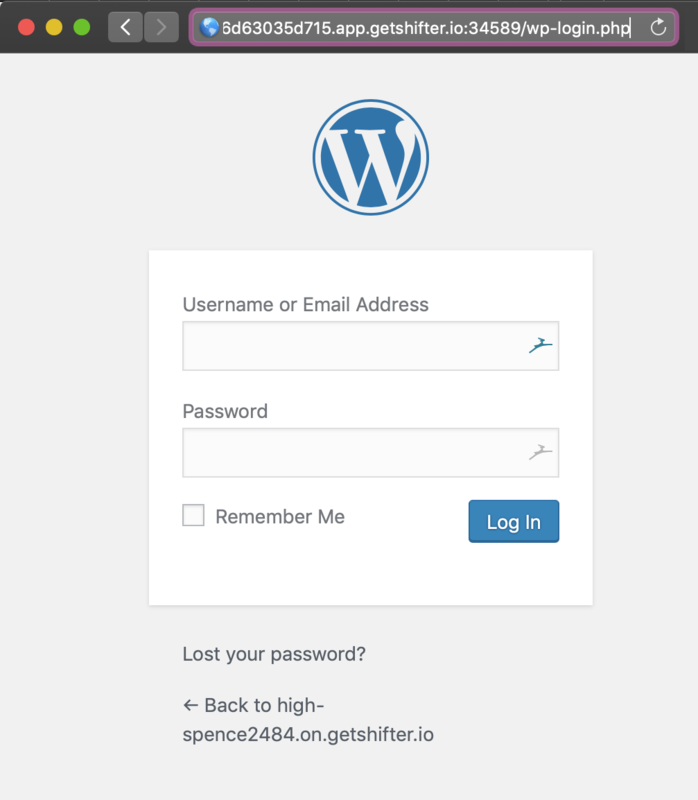 Directly log-in to WordPress with its credentials. Shifter provides Magic Link for logging in WordPress from Shifter Dashboard, and you can log-in with it. In case you want to log in with your WordPress account: username and password, you should log-in without using a magic link. Input "wp-login.php" to the end of URL, and hit [Enter] or [Return] key. Now you can get log-in page.